“Whoa, Nellie!,” set to Nellie McKay’s album “Obligatory Villagers,” and “Mirror Mirror,” set to a commissioned piano score by award-winning Broadway and opera composer Michael John LaChiusa, are as different as night from day. Where “Obligatory Villagers” is a wildly witty and carnival- spirited response to McKay’s hit concept album, “Mirror Mirror” is a contemplative look at sexuality, intimacy, self-love and loneliness. Like its music, “Whoa, Nellie!” is a mash-up of styles and cultural references. A band of irrepressible pranksters, the dancers joyfully move chameleon-like from the Caribbean-tinged hip hop of “Identity Theft” to the disco-inflected whacking and voguing inspired by the refrain “Saturday Night in the Mens’ Ensemble Dressing Room” from “Galleon” to a symphony of hands suggested by McKay’s gospel-inspired “Testify.” The dancing plays with and against the thematic material of McKay’s punchy, always surprising score. In “Mirror Mirror,” a uniquely spare work for Brock, the characters emerge from Michael John LaChiusa’s specially created score. The mirror reflects the realities and fantasies of two male characters who, together and apart, struggle with their sexual and emotional identities. The music for “Mirror Mirror” will be played live by pianist Jamie Schmidt. The company’s associate artistic director, 2010 Drama Desk nominee Dane Laffrey, designed thesetsandcostumesforbothworks. ScottZielinskiisthelightingdesigner.Thefouryearold company features Dean de Luna, Ashley Eichbauer, Erica Furst, Drew Heflin, Yukiko Kashiki, Connor Kilian Weigand, Micki Weiner and Michael Wright, many of whom have danced with CBE for at least two years. Wii AND THEE: Following the show, audience members are invited to have their own fun dancing in the Connelly lobby where there will be stations featuring the recently released Wii game, “Dance on Broadway,” which Brock choreographed. Ticket holders are encouraged to learn the dances and compete with each other by mimicking the moves of the avatars on the screens. The Chase Brock Experience dancers served as models for the game’s avatars. The curtain for The Chase Brock Experience’s Connelly Theater performances is July 8, 9, 10 at 8pm and July 11 at 7pm. General admission tickets are $25, reserved seating tickets are $35, and VIP opening tickets are $75 including reserved seating and access to the post-performance reception. Tickets can be purchased online at www.smarttix.com or over the phone by calling 212- 868-4444. The Connelly Theater is located at 220 East 4th Street (between Avenue A and B). CHASE BROCK, 26, has created more than 20 dances for The Chase Brock Experience, the Brooklyn- based contemporary dance company he founded in 2006. His choreography for opera includes Bartlett Sher’s production of Gounod’s “Roméo et Juliette” for the Salzburg Festival in 2008 and 2010, starring Anna Netrebko and Rolando Villazón; and his theater choreography includes the world premiere of “Yank!,” Mark Lamos’s revival of “A Little Night Music,” and Jeff Calhoun’s revival of “Shenandoah.” His television credits include “Broadway Under the Stars” for CBS and the Joan As Police Woman music video, “Eternal Flame.” His choreography has also been featured on film (“Clear Blue Tuesday”) and in the concert “Evil Monkey Man: David Yazbek and His Warmest Regards” for Lincoln Center’s American Songbook series. Most recently, Brock created the choreography for “Dance on Broadway” for the Nintendo Wii, released on June 15 in North America and June 17 in Europe. Pleasevisitchasebrock.comformoreinformation. DANE LAFFREY, 26, who studied at Australia’s National Institute of Dramatic Art in Sydney, received a 2006 Sydney Theatre Awards nomination for Best Scenic Design for “Some Explicit Polaroids.” His New York City, US Regional and International design and lighting credits from include: “Inner Voices: Solo Musicals” (world premiere) starring Heidi Blickenstaff and Judith Blazer for Premieres and Primary Stages; the revival of Mart Crowley’s “The Boys in the Band for The Transport Group” for which he received a 2010 Drama Desk Award nomination for Outstanding Lighting Design; Michael John LaChuisa’s “Giant” at the Signature Theatre; “Sixty Miles to Silver Lake” for SoHo Rep and P73; Martin Sherman’s adaptation of “The Roman Spring of Mrs. Stone” for Parco Productions in Tokyo; “The Rise and Fall of Annie Hall” for Stage 13; “Bad Jazz” for The Play Company; Noah Haidle’s “Rag and Bone” at Rattlestick Playwright’s Theatre; “David Yazbek: Evil Monkey Man” for the Lincoln Center American Songbook Series; “Inner Voices: Solo Musicals” at the Zipper Factory; and “Reckless” for Chautauqua Theatre Company.. He is an advisory board member of Lincoln Center’s LCT3 and has lectured in scenic design in the US and Australia. THE CHASE BROCK EXPERIENCE, PAGE 3SCOTT ZIELINSKI, who has designed for theater, opera, and dance, has lighted productions at American Dance Festival, Joyce Theater, Kennedy Center (all with Twyla Tharp), and for American Ballet Theatre, Boston Ballet, Centre National de la Danse, Houston Ballet, Kansas City Ballet, National Ballet of Canada, and San Francisco Ballet. He also designed productions in Adelaide, Amsterdam, Berlin, Edinburgh, Fukuoka, Goteborg, Hamburg, Hong Kong, Istanbul, Linz, London, Luang Prabang, Lyon, Orleans, Oslo, Ottawa, Paris, Reykjavik, Rotterdam, Singapore, Stockholm, Stuttgart, Tokyo, Toronto, Vienna, Vilnius, and Zurich. Upcoming projects include “The White Snake” for New Visions Festival (Hong Kong), Singapore Esplanade Festival, Lincoln Center Festival, and Edinburgh Festival; “The Magic Flute” for Canadian Opera Company (Toronto); and “Achterbahn,” a new Judith Weir opera for Bregenz Festival (Austria) and the Royal Opera House (London). MICHAEL JOHN LaCHIUSA’s work as a composer and lyricist includes “Giant” (Signature Theatre); “Send (who are you? I love you),” written for Audra McDonald and commissioned by the Houston Grand Opera; “Tres Niñas” starring Victoria Clark (written with Ellen Fitzhugh); “Bernarda Alba” with libretto by Richard Nelson (Lincoln Center Theater); “See What I Wanna See” (Public Theater); “The Highest Yellow” (Signature Theatre, recipient of two Helen Hayes Awards); the Broadway productions of “The Wild Party” and “Marie Christine;” “Lovers & Friends” (Chautauqua Variations at the Lyric Opera of Chicago); “Little Fish” (Second Stage); “Hello Again” (Lincoln Center Theater); “First Lady Suite” (Public Theater); “Break/Agnes/Eulogy for Mister Hamm” (Playwrights Horizons); additional material for the Tony-nominated “Chronicle of a Death Foretold.” Recordings of LaChiusa’s works include the 2001 Grammy-nominated Original Cast Album of “The Wild Party” (Decca Broadway); “Marie Christine” (RCA Victor); “Hello Again” (RCA Victor); “First Lady Suite” (PS Classics); and “Little Fish,” “See What I Wanna See,” and “Bernarda Alba” (Ghostlight). LaChiusa’s songs have been recorded by artists ranging from Lea DeLaria to Audra McDonald. He has also provided scores for “The Wonder Pets,” the children’s television show on Nickelodeon’s Nick Jr. Awards include the Emmy Award, a Grammy nomination, five Tony nominations (Best Score and Best Book, “The Wild Party;” Best Score and Best Book, “Marie Christine;” Best Book, “Chronicle of a Death Foretold”), Obie Awards (“Hello Again” and “First Lady Suite”), and the Gilman-Gonzalez-Falla Musical Theatre Award. LaChiusa was the 1998-1999 Composer-in-Residence at the Lyric Opera of Chicago. He has been a contributing writer to The New York Times, Opera News, American Theatre and other periodicals. He is currently on the faculty of New York University and is a guest lecturer at many universities and colleges in the US and abroad. NELLIE McKAY has proven herself a creative dynamo since the release of her double–album debut “Get Away From Me,” which was quickly followed by her albums “Pretty Little Head” and “Obligatory Villagers,” a Broadway debut (as Polly Peachum in “The Threepenny Opera”), and an onscreen performance (in “PS I Love You”). Currently, she is writing music and lyrics for the premiere production of “Election: The Musical.” McKay is also known as an outspoken advocate for animal rights, feminism, civil rights, and other progressive ideals. McKay’s most recent release is her Verve Records salute to Doris Day, “Normal As Blueberry Pie – A Tribute to Doris Day.” The two artists share a passion for animal rights, a sunny gosh–gee–swell positivity, and a love for the Great American Songbook—as well as a depth, complexity, and progressivism that belies the toothy grins for which both are known. Founded in 2006, The Chase Brock Experience is committed to creating dance in unique visual environments, commissioning original scores from outstanding contemporary composers and using live music whenever possible. 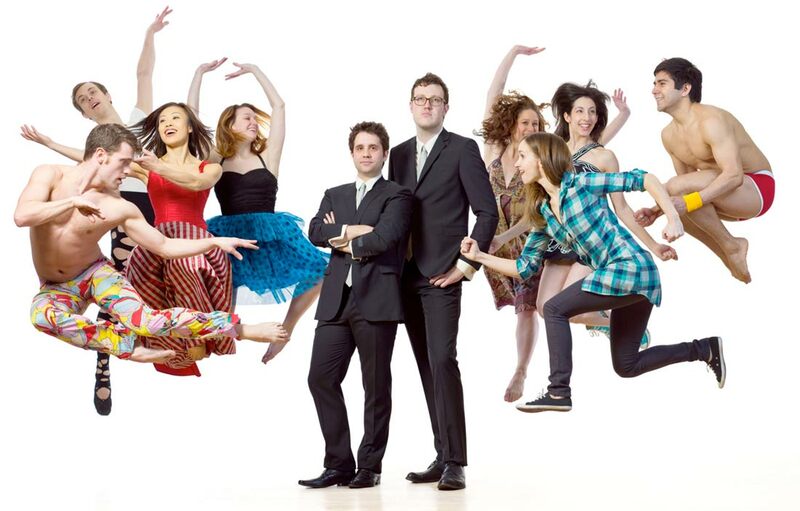 Since 2007, CBE has presented six New York seasons in various venues including the Abrons Arts Center, Joyce SoHo, Dance New Amsterdam and Baruch Performing Arts Center, and annual benefits at Galapagos Art Space and Florence Gould Hall; it has appeared in Fire Island Dance Festival, Downtown Dance Festival, Dance Gotham Festival and Solstice in Times Square; and has received coveted residencies at Robert Wilson’s Watermill Center and The Orchard Project. The company has also appeared at Symphony Space, the 92nd Street Y, LaMaMa e.t.c., Manhattan Movement and Arts Center, and Broadway’s New Amsterdam Theatre; and received a choreographic sponsorship from Dancers Responding to AIDS. In 2009, CBE began to tour and launched an education program, which debuted at North Haven Arts & Enrichment in North Haven, Maine. The Chase Brock Experience Summer Season 2010 is made possible in large part by the generous support of The O'Donnell-Green Music and Dance Foundation. “Mirror Mirror” was commissioned by the American Music Center Live Music for Dance Program. The Chase Brock Experience Summer Season 2010 is made possible in part with public funds from the Manhattan Community Arts Fund, supported by the New York City Department of Cultural Affairs and administered by Lower Manhattan Cultural Council.